Custom Building Products #386 Oyster Gray Fusion Pro 1 qt. Custom Building Products #10 Antique White Fusion PRO - 1 Gal. Custom Building Products #10 Antique White Fusion Pro Single Component Grout is a single component grout with the stain resistance and colour consistency of epoxy grouts, but with the workability of cement grouts. Fusion Pro is ready to use on all tiles including glass tiles and polished natural stone, for exterior and interior wall and floor use. 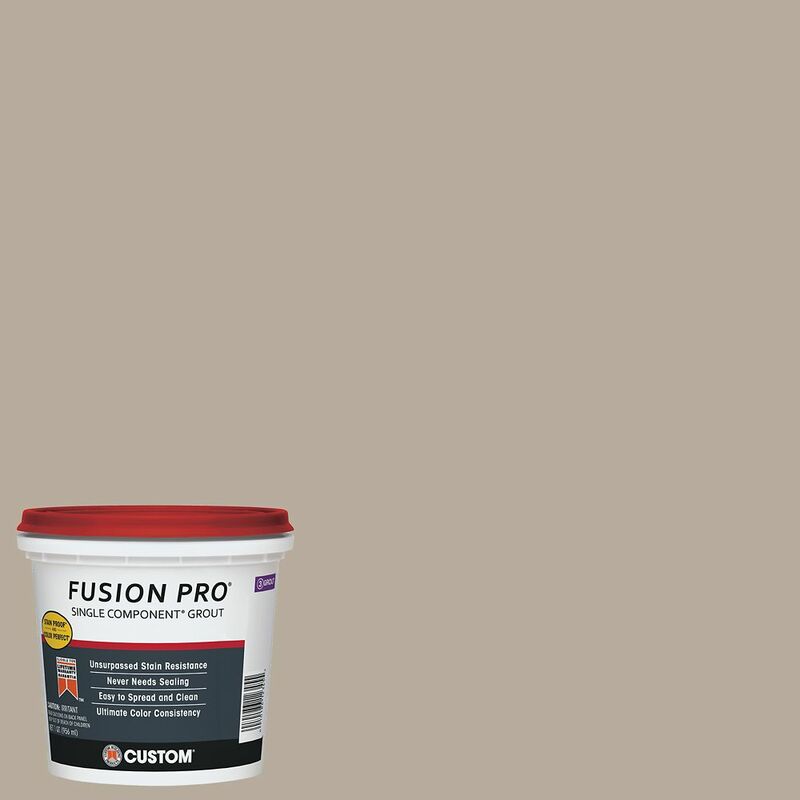 Fusion Pro is a high performance, advanced patent pending formulation that features built-in Microban antimicrobial product protection to inhibit the growth of stain causing mould and mildew on dried grout. Pre-Mixed Grout is the no mix, no mess alternative to traditional grout. This shrink and crack resistant formula is also highly resistant to most common household stains. Ideal for grout restoration. #386 Oyster Gray Fusion Pro 1 qt. Custom Building Products Fusion Pro Single Component Grout is a professional grade, single component sanded grout. Fusion Pro requires no mixing and is ready to use on ceramic, porcelain, glass tiles and polished natural stone. It is suitable for exterior and interior wall and floor use. #386 Oyster Gray Fusion Pro 1 qt. is rated 1.0 out of 5 by 1. Rated 1 out of 5 by savoie from Brutal Stay Away!!!!! Its so bad i made an account to warn you!!!!!!!!!. It says easy clean on the side hahahahaha i cleaned tiles for 2 hours to bring the shine back. Then the sand that was on the counter to clean up was a treat. I was using this for subway tile backsplash. I will mix my own grout next time. You have been warned.